23. 03. 2019 18:19 15 (9 - Tsouloftas Alexandros / Chrysostomou Antonis): What a rally, I never thought it could be so difficult. I'm happy to be second on the podium. In the beginning ot was difficult for us, but we managed it, it was incredible to be here. 23. 03. 2019 17:30 14 (9 - Tsouloftas Alexandros / Chrysostomou Antonis): The visibility was maybe 20 meters, I never drove in anything like this. We want to finish mainly, we need to manage one more stage. 23. 03. 2019 13:51 13 (9 - Tsouloftas Alexandros / Chrysostomou Antonis): We went in the fog almost off the cliff, we are really happy to be here. We are second in the juniors, we need to keep the pace. 23. 03. 2019 12:04 11 (9 - Tsouloftas Alexandros / Chrysostomou Antonis): First time in the rain. We had two spins, the road is crazy slippery. 22. 03. 2019 18:56 10 (9 - Tsouloftas Alexandros / Chrysostomou Antonis): Completely different rally, we are learning and trying to enjoy it. We are lucky to be here. We improved with every kilometer, I'm happy. 22. 03. 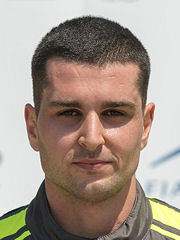 2019 17:56 9 (9 - Tsouloftas Alexandros / Chrysostomou Antonis): We missed a hairpin, we spun and the engine stalled. We'll see how it goes. 22. 03. 2019 17:13 8 (9 - Tsouloftas Alexandros / Chrysostomou Antonis): It's getting confident with every kilometer. I'm really happy, not bad. 22. 03. 2019 16:15 7 (9 - Tsouloftas Alexandros / Chrysostomou Antonis): It's getting better with every kilometer. Very narrow stage, very tricky for us. 22. 03. 2019 14:00 6 (9 - Tsouloftas Alexandros / Chrysostomou Antonis): Interesting morning, much better than yesterday. I'm happy with our times being first time here. 22. 03. 2019 13:20 5 (9 - Tsouloftas Alexandros / Chrysostomou Antonis): Big moment, I almost left the stage. It is difficult, very narrow, but lot of people. I hope in next pass we will make better time. 22. 03. 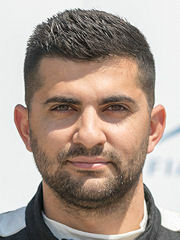 2019 12:23 4 (9 - Tsouloftas Alexandros / Chrysostomou Antonis): Really tight stage. Today we start later and have much more grip. We get used to the car as well, it's better than yesterday. We have more fun. 21. 03. 2019 17:37 1 (9 - Tsouloftas Alexandros / Chrysostomou Antonis): First on the road, we are sweepeing. It was difficult, very slippery.